Blocking the IMSA stream just so that I have to pay to watch your awful coverage on Fox Sports 2. Also the claim that full race coverage is available on fox sports go with an FS1 subscription is a blatant lie. 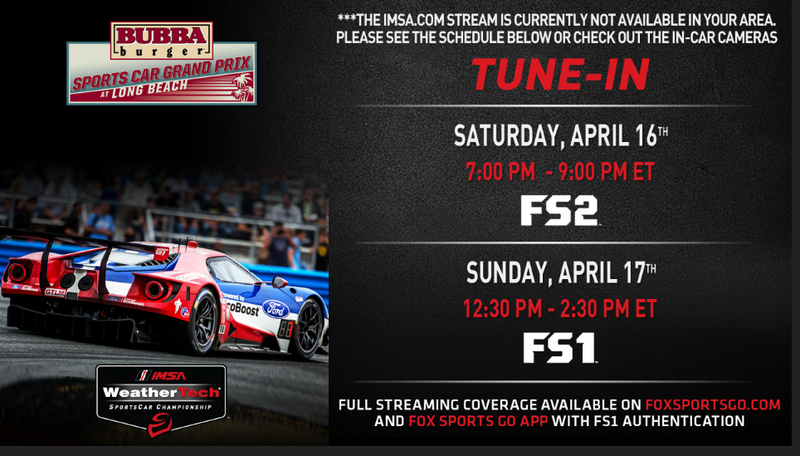 You have to have a FS2 subscription to see the race. IMSA needs to split from Fox and move to a channel such as NBCSN for their race coverage as their awesome racing gets ruined by fox’s incompetence. At least IMSA uploads the races to their youtube channel a few days after the race but until then I am looking for another stream and longing for the days of SPEED.